Authors: Konovalova E.Y., Lavrova A.E., Presnyakova M.V. The purpose is: To assess the clinical relevance of the endothelial condition and platelet aggregation in the development of hepatic fibrosis in children with autoimmune hepatitis. Materials and Methods. 35 patients aged from 3 to 17 years old were studied, including 19 girls - (54%) and 16 boys - (46%). The 1st group consisted of 17 children with the degree of fibrosis F 0-2 acc. to the METAVIR score; the 2nd group consisted of 18 patients with the degree of fibrosis F 3-4 (METAVIR) acc. to the METAVIR score based on the indirect elastometry data in children of the 2nd group hepatic cirrhosis was diagnosed; the control group consisted of 15 children with health group I or II. The endothelium state and the platelet aggregation activity were assessed in all the patients. To test statistical hypotheses, the Mann-Whitney U test, the Spearman correlation coefficient and the Fisher criterion were used. The critical value of the significance level is assumed to be 0.05. Quantitative data are presented as: median and the first; third quartile of Me (Q1; Q3). Results. In children with autoimmune hepatitis some signs of the various-degree fibrosis formation were revealed in the ¾ of the examined. Patients of the 2nd group have a more aggressive course as compared to the 1st group: in the disease debut there were mainly expressed asthenoneurotic complaints (p = 0.021), manifestations of the jaundice syndrome (p = 0.014), more frequently hepatic-cell insufficiency (p = 0.045) is diagnosed and followed by complications of the disease (hypersplenism (p = 0.014), varicose veins of the esophagus (p = 0.003)). All children with autoimmune hepatitis have the endothelial dysfunction, the enhancing platelet aggregation activity. The degree of fibrosis correlates with the concentration of endothelin-1 (r = 0.4, p = 0.004), the von Willebrand factor (vWF) activity (r = 0.5, p <0.001), the platelet count (r = -0.5, p = 0.003). The determination of the endothelin-1 concentration, the von Willebrand factor activity and the platelet count may be used to assess the hepatopathy severity in children with autoimmune hepatitis. Conclusion. In children with autoimmune hepatitis the endothelial dysfunction and platelet disorders are revealed in the hemostasis system correlating with the severity of the pathological process. children, fibrosis, cirrhosis, endothelium, platelets, hemostasis. Autoimmune hepatitis (AIH) is an actual and socially significant problem in pediatrics with the incidence in European countries of 0.1-0.9 cases per 100,000 population per year and prevalence of 2.2-17 patients per 100,000 population. AIH accounts for 10-20% of chronic diseases of hepatobiliary system. With this, in recent two decades a considerable increase in the incidence of autoimmune diseases of the liver has been observed, among children as well . AIH is characterized by aggressive course especially in childhood. With no treatment, the pathological process rather rapidly progresses to hepatic cirrhosis which is present in 36-78% of children at diagnosis . With 5-10-fold increase in the activity of transaminases and 2-fold increase in the level of γ-globulins mortality in adults may reach 90% within 10 years . Damage to hepatic tissue influences coagulation processes, since the liver plays the central role in the system of hemostasis being the place of synthesis of numerous coagulation factors and their inhibitors, of components of fibrinolysis system and of stimulators of thrombocytopoiesis. In this context, liver pathology causes complex and multidirectional disorders in this system, which are often unpredictable and involve all aspects of hemostasis including platelet plug formation . A significant role in maintenance of the balance of the hemostasis system is played by the functional condition of the endothelium. According to the data of I.A. Kurkina, et al. (2014), local dysfunction of the endothelium in chronic diseases of the liver may cause topical hypercoagulation despite the laboratory signs of systemic hypocoagulation . Data of histological examinations has been obtained showing that a disorder in blood circulation in an organ leads to secondary hepatic destruction, enhancement of fibrosis and to progression of a pathological process . Endothelium is an active endocrine organ represented by a monocellular layer of specialized cells that lines the inner surface of the entire cardiovascular «tree». It performs barrier, secretory, hemostatic, vasotonic functions, and plays an important role in inflammation and remodeling of the vessel wall . First of all, normal endothelium functions as a potent anticoagulant surface that does not activate blood coagulation proteins and does not attract blood cells. But after stimulation or trauma endothelium transforms into a potent procoagulant surface due to synthesis and release of numerous procoagulant substances including von Willebrand factor and endothelin-1 . Exposure of subendothelial structure in result of damage to the endothelial cells induces changes in the morphology of platelets and leads to increase in their adhesion and aggregation capacity . Platelets perform different functions: 1) launch of immediate hemostasis due to adhesion and aggregation with the result of formation of a platelet plug, 2) local release of vasoconstrictors for reduction in the blood flow in the damaged area, 3) catalysis of reactions of humoral coagulation system with formation of a fibrin clot, 4) initiation of reparation of tissues, 5) control of the local inflammatory reaction and of immunity [8,10]. Thus, activation of aggregation of platelets, on the one hand, supports inflammation, and, on the other hand, influences processes of thrombus formation in vessels thus frustrating trophism of an organ and its function . Studies of the endothelium and platelet aggregation dysfunction in pathology of the liver mainly concerned adult patients with a chronic viral hepatitis and cirrhosis at the stage of outcome. The scientific and clinical interest is stimulated by the absence of scientific publications on this topic concerning children with AIH and cirrhosis of the liver in the outcome, and the role of these disorders in progression of fibrosis of the liver. Aim of the given work was investigation of clinical significance of the condition of the endothelium and of platelet aggregation in development of liver fibrosis in children with AIH. 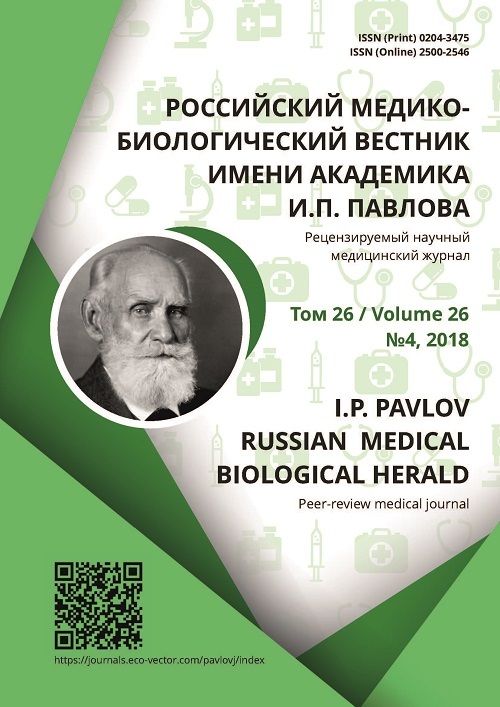 Functional condition of the endothelium and of platelet plug formation was studied in 35 patients of 3-17 years of age (among them 16 boys) who underwent treatment at the department of gastroenterology of Research Medical University of Volga Region, and in 15 conventionally healthy children. The work was performed in correspondence with the Governmental assignment to Research Medical University of Volga Region for 2017-2019, on the topic «Development of Methods of Prophylaxis, Diagnosis and Treatment of Digestive Organs in Children in Acute and Chronic Hypoxia». All participants underwent examination in compliance with the medical Standard of specialized medical assistance to children with AIH. The diagnosis of AIH was made after exclusion of viral hepatitis, cholestatic and autoimmune liver diseases, Wilson-Konovalov disease, hemochromatosis, α1-antitrypsin deficit, toxic forms of hepatitis. Blood for laboratory tests was taken in the morning, in fasting condition, by venipuncture of the basilic vein. 30 days before examination the patients did not receive preparations influencing hemostasis. As markers of endothelial dysfunction, endothelin-1 and VWF were used. Concentration of endothelin-1 in blood serum was determined by ELISA method using Еndothelin 1-21 test system, and activity of VWF – on ACL-ТОР 500 hemocoagulation analyzer (Instrumentation Laboratory Company, USA) with use of a kit of von Willebrand factor. The platelet count was determined using hematological analyzer Cell-Dyn 610 (Abbott Diagnostics, США), and aggregation activity of platelets was assessed on a platelet aggregation analyzer with use of adenosine phosphate (ADP) in the concentration of 1.25 mg/mL and of collagen in the concentration of 2.0 mg/mL as inductors of aggregation. In the course of study the degree and speed of platelets aggregation were assessed. The participants were divided into groups depending on the extent of evidence of hepatic fibrosis assessed by a method of indirect elastometry on Fibroscan device (Echosens, France) with determination of the stage of fibrosis by Metavir score from F0 to F4, by magnetic resonance tomography (Siemens, 1.5 Tesla), by ultrasound examination (Prosond F 75). Insix patients hepatobiopsy was conducted. The 1st group (n=17) included children with AIH with F 0-2 Metavir score according to the data of indirect elastometry of the liver. The age of patients was 14.0 (11.0; 16.0) years. The 2nd group (n=18) included children with F 3-4 Metavir score according to the data of indirect elastometry of the liver, the children of this group were diagnosed with hepatic cirrhosis with the underlying AIH. The age of patients was 13.5 (9.0; 15.0) years. The control group (n=15) included children referred to I or II health groups. The age of children of the control group was 13.0 (10.0; 15.5) years. The studied groups were comparable in age and gender. The research work was approved by Ethic Committee of Research Medical University of Volga Region of Health Ministry of Russia, Protocol №16 of 05.12.2017. All participants of research signed Informed consent. Statistical hypotheses were tested using: Mann-Whitney Utest, Spearman’s correlation coefficient, F-test. The critical value of statistical significance was assumed to be 0.05. The quantitative data were presented as median of the first and third quartile (Ме (Q1; Q3)), with the number of observations (in %). In parentheses the absolute numbers are shown (n). Statistical processing was performed using Statistica 10.0 program (Stat Soft Inc., USA). Signs of fibrosis of different degree (F1-F4 Metavir score) were identified according to the data of indirect elastometry of the liver in ¾ of examined children: F1 fibrosis in 8 (23%) patients, F2 – in 1 (3%), F3 – in 7 (20%), F4 – in 11 (31%). Absence of fibrosis (F0) was determined in 8 (23%) patients. The 1st group included patients without fibrosis and its initial manifestations (F0-F2 Metavir score). 18 Patients with F3-F4 fibrosis were diagnosed with hepatic cirrhosis, in 6 patients the diagnosis was confirmed histologically. On this basis these patients were included into the 2nd group. The mean parameter of elasticity of the liver according to elastometry data in the 1st group (F0-F2 Metavir score) was 6.05 kPa (4.6;7.0), in the 2nd group (F3-F4 Metavir score) – 14.4 kPa (13.1;21.8 kPa, р<0.001). From the anamnesis, duration of the period from the moment of the first clinical manifestations (asthenoneurotic syndrome, jaundice syndrome, low-grade temperature, pain in the abdomen) to the moment of making the diagnosis, was comparable in the 1st and 2nd groups: 7 (3;15) months in the 1st group and 8 (4;15) months in the 2nd groups. It is important to note that at the onset of the disease16 of 18 children (88.9%) of the 2nd group presented with pronounced astheno-neurotic complaints (weakness, enhanced fatigue, lability of mood, troubled sleep), while most children of the 1st group (14 of 17; 82.4%) had only weakness and enhanced fatigue (р=0.021). Practically each second patient of the 2nd group (41.2%) had an evident jaundice syndrome (a combination of icteric discoloration of skin, sclera, oral mucosa, darkening of urine, light color of stools), while in the 1st group no such combination of symptom was noticed (р=0.014). On clinical examination «minor hepatic» signs were predominating in the 2nd group: palmar erythema was stated in all children of this group (100%), spider angiomas and pronounced venous pattern on the anterior abdominal wall – in 18 of 22 children (81.8%), while in the 1st group these changes were recorded only in 4 of 17 (23.5%) and in 3 of 17 (17.6%) patients, respectively (р=0.029 and р=0.025). The results of laboratory-instrumental examinations reveled predomination of the minimal biochemical activity in most patients of the 1st group (11 of 17; 64.7%) with the level of transaminases not exceeding the upper limit more than 3 times, while in 8 of 18 children of the 2nd group (44.4%) moderate activity was noted (the level of transaminases was 4-5 times the upper norm) and 4 of 18 patients (22.2%) had a high degree of biochemical activity (the level of transaminases was10 times the norm). In the 1st group hepatocellular failure was diagnosed in much fewer cases that in the 2nd group – in 4 of 17 (23.5%) and in 17 of 18 (94.4%) of the examined patients, respectively (р=0.045). Complications: hypersplenism (reduction in the amount of platelets, leukocytes and erythrocytes) and also esophageal varicose veins dilatation were not found in a single patient of the 1st group. In the 2nd group signs of hyperslenism were identified in 8 of 18 children (44.4%, p=0.014), and esophageal varicose veins dilatation of 1-2 to 3-4 degree – in 11 of 18 children (61.1%, p=0.003). In patients of the 1st and 2nd groups the concentration of the marker of endothelial dysfunction – endothelin-1 – was increased in comparison with the control group (р=0.04 and р<0,001, respectively), here, its concentration in the 2nd group was reliably higher that in the 1st group (р=0.03, Tab. 1). Similar changes were recorded in one more parameter of the functional condition of endothelial cells – VWF: its activity in both groups increased above the physiological norm (р=0.01 and р<0.001, respectively), but in patients of the 2nd group it activity was considerably higher than in the 1st (р=0.005, Tab. 1). Thus, dysfunction of the endothelium in children with AIH was maximally expressed with development of hepatic cirrhosis. The obtained data were confirmed by a moderate positive correlation relationship between the degree of hepatic fibrosis and markers of the endothelial dysfunction – endothelin-1 (r=0.356, p=0.004) and VWF (r=0.605, p<0.001). Thus, in all children with AIH reduction in the quantity of platelet was found as compared to the control group (group 1 – р=0.002, group 2 – p<0.001). Here, the amount of platelets in the 2nd group was reliably lower than in the 1st one (p=0.003, Tab. 1). Of note, reduction in the amount of platelets was accompanied by increase in the density of the liver, according to indirect fibroelastometry data (r=-0.5, p=0.003), and by increase in the concentration of markers of endothelial dysfunction – endothelin-1 (r=-0.528, p<0.001) and VWF (r=-0.501, p<0.001). respectively). Besides, the platelet count inversely correlated with expressiveness of such complications of the pathological process as hypersplenism (r=-0.567, р=0.001) and esophageal varicose veins dilatation (r=0.363, р=0.048). Study of aggregation of platelets with ADP and collagen showed increase both in the extent and speed of aggregation in children with AIH irrespective of the stage of hepatic fibrosis. The extent of aggregation of platelets induced by ADP in patients of the 1st and 2nd groups significantly exceeded this parameter in healthy children (р=0.003 and р=0.004, respectively). Along with this, with ADP induction, the speed of aggregation of platelets in both groups also increased in comparison with control values (р=0.008 and р=0.016, respectively). With use of collagen as a platelet aggregation inducer, both the extent and speed of aggregation in the 1st and 2nd groups were increased in comparison with the control group (p<0.001 and р=0.021, respectively), (р=0.021 and р=0.04, respectively, Tab. 1). Expressiveness of aggregation of platelets with ADP and collagen directly depended on the activity of VWF (Tab. 2). Thus, according to the results of the conducted study, autoimmune hepatitis in children is characterized by aggressive course. The first complaints and clinical manifestations often appear when the liver has already been deeply damaged. Rather rapidly, within 7-8 months after the first clinical manifestations, evident disorders in the structure of the liver start to occur caused by overgrowth of connective tissue. Only 23% of children had no signs of fibrosis, in the rest of the patients – 77%, different degrees of fibrosis (from 1 to 4) were determined in Metavir score. In blood of patients with AIH laboratory signs of damage to the endothelium were found – increase in highly specific markers of endothelial dysfunction – endothelin-1 and VWF. One of the major functions of endothelium is a balanced release of regulatory substances that determines integrated work of the circulatory system. With the «normal» function of the endothelium the balance is always shifted toward vasodilatation, inhibition of angiogenesis, antithrombotic, antiinflam-matory and antioxidant effects. A disruption in the function or structure of the endothelium sharply changes the spectrum of released biologically active substances with excessive synthesis of procoagulants: endothelin-1 and VWF [7,8]. High concentrations of endothelin-1 lead to persistent vasoconstriction resul-ting in ischemia, necrosis of tissues, and support an inflammatory process in the organ. It was shown in the experiment that endothelin-1 participates in activation of stellate cells, thus promoting enhanced deposition of the main components of the extracellular matrix [12-14]. According to literature data, in adult people with chronic viral hepatitis and decompensated cirrhosis of viral etiology, increase in endothelin-1 and VWF is noted . It was shown that in severe hepatic cirrhosis in adults, plasma level of VWF may rise more than 10-fold [16,17]. The data obtained by us do not contradict literature data: in children with the established hepatic cirrhosis as an outcome of AIH accompanied by moderate and high biochemical activity, hepatocellular insufficiency, hypersplenism, esophageal varicose veins dilatation, the markers of the endothelium dysfunction were maximally increased. Increase in the activity of VWF enhances adhesion-aggregation properties of platelets. This substance belongs to a group of early thromboregulators since it influences the process of thrombus formation before thrombin has been formed . This was confirmed by positive correlation relationships between the activity of VWF and parameters of platelet aggregation obtained by us. With induction by ADP and collagen, an increased extent and speed of platelet aggregation were noted in all the examined patients. However, no reliably significant differences between the studied groups were found. This may be probably associated with the tendency to reduction in platelet count in both groups. It is known that formation of small aggregates of platelets in case of thrombocytopenia may not influence light transmission through suspension of platelets in study of their aggregation which may lead to erroneously low results . Both at the initial stages of fibrosis and at the stage of established cirrhosis in children with autoimmune damage to the liver, the amount of platelets has a tendency to reduction in comparison with the control group. However, in our study the platelet count remained within the physiological norm in both groups. In studies with participation of adult patients with hepatitis and hepatic cirrhosis of viral etiology, similar data of disorders of the vascular-platelet hemostasis in the form of increase of aggregation and activation of platelets were obtained . It is important to note that concentration of endothelin-1, platelets, activity of VWF have an important clinical significance in AIH in children. According to the results of our study, children having a more expressed asthenoneurotic syndrome and jaundice syndrome at the onset of the disease, further develop a more expressed dysfunction of the endothelium and a more severe form of the disease characterized by formation of hepatic cirrhosis, hypersplenism and esophageal varicose veins dilatation. The onset of a severe form of autoimmune hepatitis is characterized by an evident jaundice syndrome, a complex of asthenoneurotic complaints, a moderately high degree of biochemical activity, hepatocellular insufficiency, rapid development of hepatic cirrhosis and of complications (esophageal varicose veins dilatation, hypersplenism) against the background evident dysfunction of the endothelium. All children with autoimmune hepatitis have a dysfunction of the endothelium (increased concentration of endothelin-1 and the activity of von Willebrand factor) dependent on the degree of hepatic fibrosis. Alteration of the functional condition of the platelet aspect of hemostasis (increased aggregation of platelets) is recorded in all children with autoimmune hepatitis without dependence on the degree of fibrosis. Determination of the parameters of the functional condition of the endothelium (endothelin-1, von Willebrand factor) and of the platelet count may be recommended for evaluation of the severity of damage in autoimmune hepatitis in children. Kostyrko EV, Shumilov PV. Contemporary Methods of Treating Children with Autoimmune Nephric Diseases. Pediatric Pharmacology. 2015; 12(6):679-85. (In Russ). doi: 10.15690/pf.v12i6.1492. Kliaritskaia IL, Shelihova EO, Semenihina EV. Diagnosis of autoimmune hepatitis according to EASL Clinical Practice Guidelines 2015. Crimean Journal of Internal Diseases. 2015; 27(4):9-17. (In Russ). Shvarts VYa, Nogaller AM. Autoimmune hepatitis. Clinical Medicine. 2013;91(9):57-61. (In Russ). Kurkina IA, Mayevskaya MV, Silayev BV, et al. Hypercoagulation syndrome at liver cirrhosis. Russian Journal of Gastroenterology, Hepatology, Coloproctology. 2014;6:36-44. (In Russ). Mancuso A. The ischemic liver cirrhosis theory and its clinical implications. Medical Hypotheses. 2016;94:4-6. doi: 10.1016/j.mehy.2016.06.008. Eelen G, De Zeeuw P, Treps L, et al. Endothelial Cell Metabolism. Physiological Reviews. 2018; 98(1):3-58. doi: 10.1152/physrev.00001.2017. Shiffman FDzh. Patofiziologiya krovi. Moscow: BINOM; 2017. (In Russ). Kozlovsky VI, Kovtun OM, Seroukhova OP, et al. Methods of investigation and clinical significance of thrombocytes aggregation with emphasis on spontaneous aggregation of platelets. Vestnik of Vitebsk State Medical University. 2013;12(4):79-91. (In Russ). Schiff ER, Sorrell MF, Mjeddrej WC. Shiff’s diseases of the liver. 10th ed. Moscow: GJeOTAR-Media; 2012. (In Russ). Poisson J, Lemoinne S, Boulanger C, et al. Liver sinusoidal endothelial cells: Physiology and role in liver diseases. Journal of Hepatology. 2017; 66(1):212-27. doi: 10.1016/j.jhep.2016.07.009. Schekotova AP, Kotelnikova LP, Mugatarov IN et al. Endothelial dysfunction, inflammation and fibrosis in the presence of hepatobiliary pathology. Fundamental Research. 2013;5-2:451-5. (In Russ). Kurkina IA, Maevskaya MV, Ivashkin VT. Hypercoagulation and thrombosis in patients with liver cirrhosis. Polyclinic. 2015;4(2):20-6. (In Russ). Gabbasov ZA, Popov EG, Gavrilov IYu, et al. Platelet aggregation: the use of optical density fluctuations to study microaggregate formation in platelet suspension. Thrombosis Research. 1989;54(3): 215-23. doi: 10.1016/0049-3848(89)90229-6. González-Reimers E, Quintero-Platt G, Martín-González C, et al. Thrombin activation and liver inflammation in advanced hepatitis C virus infection. World Journal Gastroenterology. 2016;22(18): 4427-37. doi: 10.3748/wjg.v22.i18.4427. Copyright (c) 2018 Konovalova E.Y., Lavrova A.E., Presnyakova M.V.